Crucial Air introduces another practical piece to your cleaning tool collection with a replacement air filter compatible with Idylis filters. The 1.4" x 6.7" x 11.8" air filters are perfect for everyday use. 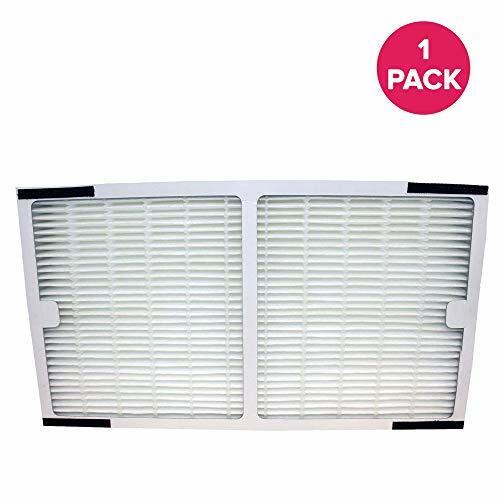 Our replacement air filters are compatible with Idylis and pair well with Hepa Style filter parts IAP-10-200, IAP-10-280 For purified, cleaner, healthier air. Our air filters are designed to clean air for a premium quality of life. Allergy sufferers should replace filters as a necessity and creating a healthier lifestyle. The air purifier is sure to assist with a home's clean air and improve breathing. They trap fine dust particles and allergens, preventing them from recirculating into the air. Helps keep the home free of dust, with frequent filter replacement. Get back to clean air and breathe again with our lightweight, germ purifier, pet smell and bedroom. The long-lasting and durable air filters are washable, reusable, safe, and non-toxic. Our air cleaner, air filters, and replacement part kit for model IAF-H-100C helps to ensure deeper and cleaner air. Have confidence with a refreshing, clear feeling for a home space. Forget those dirty carbon filters by creating an active schedule to replace air filters regularly. It helps improve the suction power of vacuum cleaners. Switch out filters in less than five (5) minutes and every 3-6 months to maximize time efficiency. This is a generic product designed and engineered in the United States by Crucial Air. This is not a Idylis OEM product and is not covered under any Idylis manufacturer's warranty. The Idylis brand names and logos are the registered trademarks of their respective owners. Any use of the Idylis brand name or model designation for this product is made solely for purposes of demonstrating compatibility. We've thought through the small details, now it's up to you. Get started and Order Today! FILTER REPLACEMENTS COMPATIBLE WITH Idylis Hepa Style Air Purifier Filters. 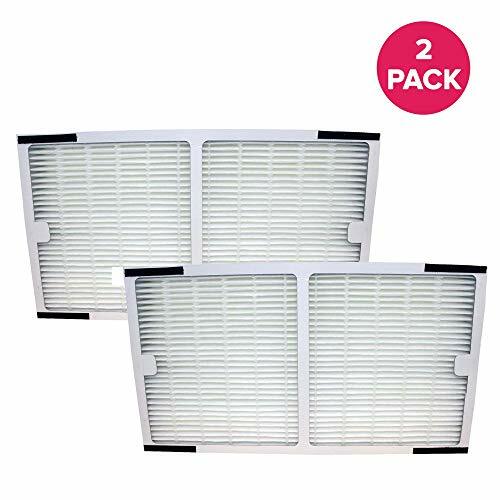 The 1.4" x 6.7" x 11.8" rectangle air filter Hepa Style filters part IAP-10-200, IAP-10-280 are essential for premium air quality and cleaner air. They trap fine dust particles and allergens, preventing them from recirculating into the air. Helps keep your home free of dust, with frequent filter replacement. Get back to clean air and breathe again with our lightweight, germ purifier, pet smell and bedroom. CLEAN AND HEALTHY LIFESTYLE: Replacing Idylis Hepa style air filters should help clean and purify air. Our air cleaner, air filters, and replacement part kit for model IAF-H-100C to ensure deeper and cleaner air. Have confidence with a refreshing, clear feeling for a home, house, office, apartment, condo, high-rise, large or small tower, while using the ozone and purify air. SIMPLE AND EASY TO INSTALL: Switch out in less than five (5) minutes, providing time efficiency. Price and quality filters that work well. Get back to daily activity quickly and make a big difference with air quality in the process. Simply remove the older and dirty filter and replace. Our filters fit and dry much better. The unit puts plenty of humidity into the air. Clean, fresh air purifer, reducing allergies, pet dander, asthma, allergy pollen, and allergens. 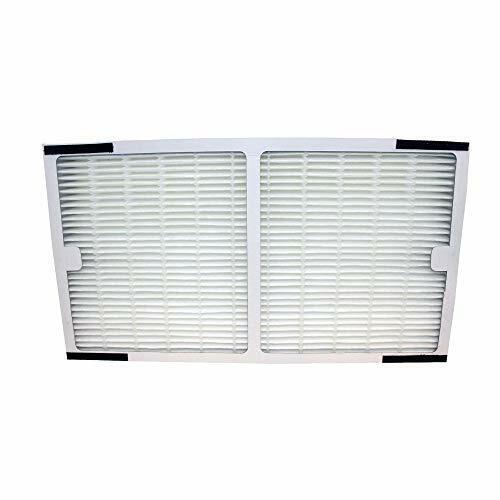 LONG LASTING REPLACEMENT AIR FILTERS: The air filter is washable and reusable ensuring long life. Replace Idylis air filters every 6 to 12 months for optimal performance or three (3) to four (4) times per year depending upon usage. When a clogged or dirty filter, it can cause it to work harder and impact utility bills. We deliver high quality, durable and long lasting replacements. They are an efficient investment. Easy to maintain for the long run. 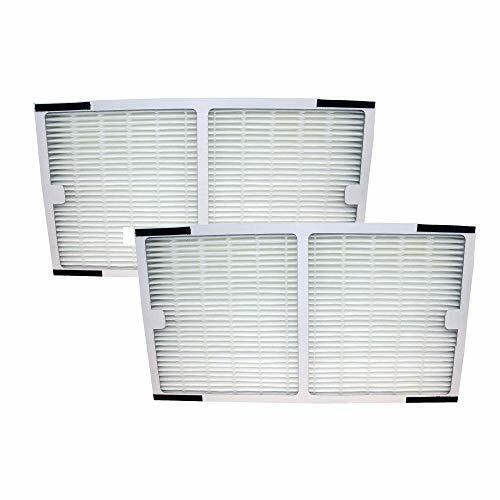 Crucial Air manufactures premium quality air filter and purifier replacement kit parts and stands behind the quality and workmanship of all our products. We maintain a thorough quality control process to ensure compatibility with the Idylis hepa style air filter models listed above.